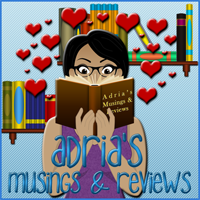 Adria's Musings and Reviews: Hiatus is Coming but There's a Giveaway! It’s that time of the year again. Vacation time! The blog is going on hiatus for the months of June and July so that I can take a break, get caught up, and maybe get ahead on my posts for August. But it’s also a time for me to spend with my mom, Hayley, and those nutty cats that I KNOW are plotting something. Lol.